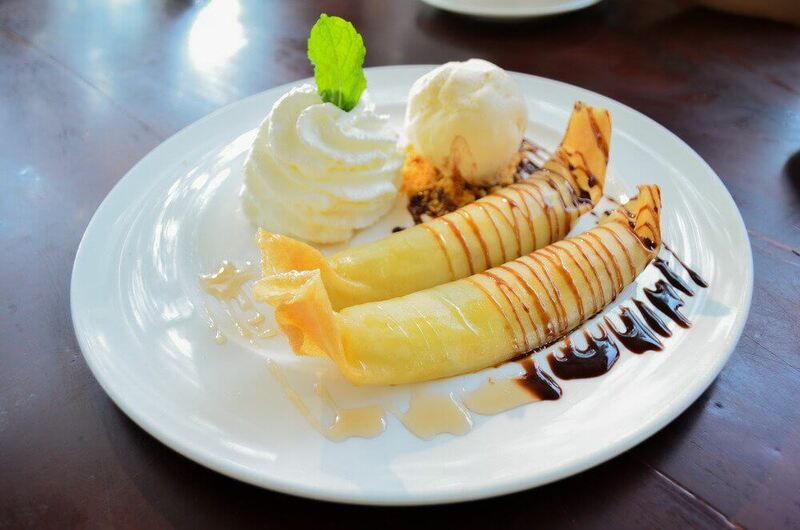 Hello readers, Today we present you another recipe which can be served after the meal, i.e., a dessert recipe named Banana Flambe. It is a famous dessert recipe all across France most of the people like to have it in the main course. Few people call it a quick recipe for dessert because it hardly takes around 10-12 min to prepare it. French cuisine complete with dessert and having this recipe in the last leaves a soothing feel all throughout the day. Add bananas saute until soft. Add rum, allow to heat, ignite (flambe) until rum is burned out. Add 2 scoops of ice cream per dish, top with chocolate sauce.